Cool drawing but I feel funny that they are dating ? I hope not because they are sister and brother. I like it, but it does feel a little too much to me like they're on a date. But Battle Network Rock and Roll would clash with this art style, so what else can you do? They are siblings, for chuck testa sake!! Actually, they arent biologically related, just happen to have same creator so no problem there, it makes no sense to consider them siblings when they have same creator, or are you saying that astroboyxuran would be an acceptable pairing just because they have different creator? Various official manga tease that it's more than that. Some of the gag comics even have Rock with a bloody nose at the sight of a lustrous Roll. What Anonymous said plus the fact not everyone is not a big Mega Man fan. There are two other versions of Mega Man & Roll that are super close so its easy to see why they'd confuse them. Classic Roll in Mega Man Powered Up is implied to have a crush on Mega Man. "What Anonymous said plus the fact not everyone is a big Mega Man fan." Nice art. Too bad Rockwell wasn't around to do it proper. I'm pretty sure robots aren't held to the same rules as humans. No blood relations and all. @anon that said "There's OFFICIAL (Classic) manga?" The MegaMan manga and comics are as "official" as the Street Fighter movies and comics - they're not. They're not canon, they didn't happen in the real storylines. Capcom simply lends the license to companies, so they can legally sell content based on them, but the content itself is basically fan fiction. On that basis, there's no official MM manga. Ariga's Megamix itself began as a completely unlicensed doujin (fan-created manga, common in Japan). There's no way it could be official canon if it wasn't even authorized by Capcom. It's entirely fanwork by origin. Do you know about Roll´s theme also called kazeyo in japanese? Officially licensed doesn't mean official canon-wise. The entire concept is hilariously surreal. We are presented with an image of two robots drinking fuel while a robot dog watches at their feet, and our first reaction is revulsion at the fact that we know the two as siblings. What does brotherhood mean for an artificial being, anyway? Is it an attribute bestowed upon them by their creator's choice, or is it an ipso facto requirement of being made by the same creator? You may not be aware of this, but they are robots. They share no DNA. They are not alive. They were both created at the same time by the same scientist. 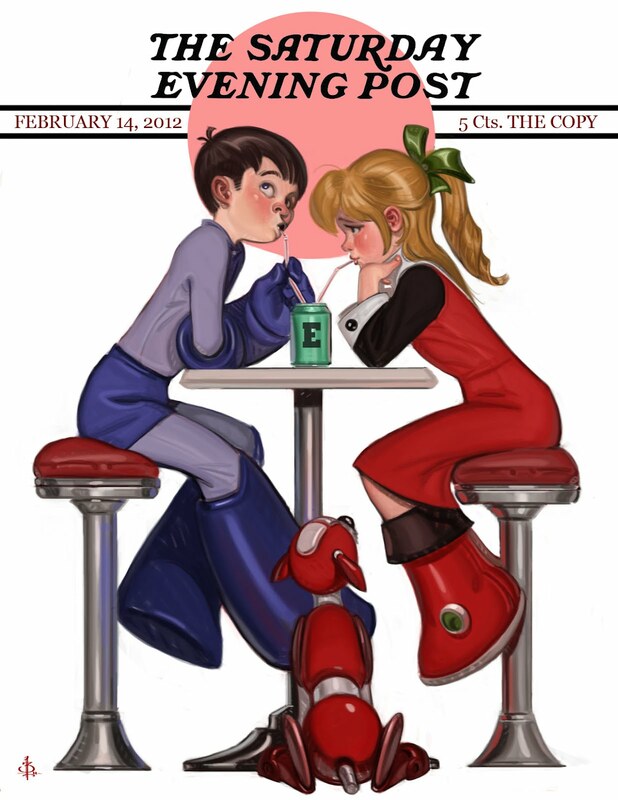 For that reason, Megaman an Roll are called sibblings in the west. However the idea that they should be called sibblings is NOT canon. In the original Rockman from Japan, they are not called sibblings. It is entirely possible, and not inappropriate at all, one of them has a crush on the other (that is assuming robots can actually be programmed to feel emotions, something that is clearly shown to not be possible in Star Trek:TNG as the android Data is incapable of experiencing emotions).